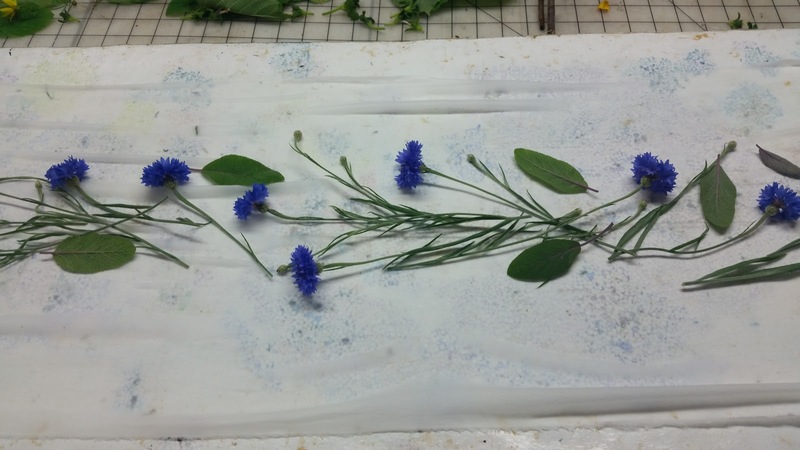 Last winter while daydreaming with seed catalogues, both paper and online, I kept seeing Bachelor Buttons (Centaurea Cyanus) referred to as a dye plant. 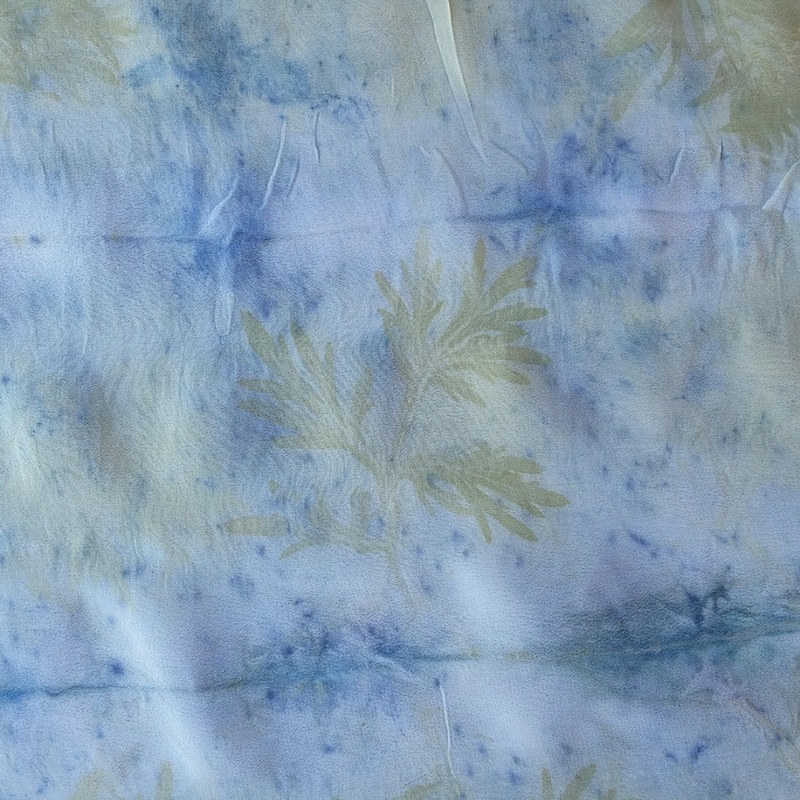 I started poking around in the various dye books I have and none of them mentioned this plant. Since it is classified in the knapweeds and knapweed foliage makes a yellow or green dye, I was curious to see what they might do. The first batch I added to pre-rusted fabric, some very faint blue from the blossoms appeared (not worth taking a picture of) and no green foliage printed at all. 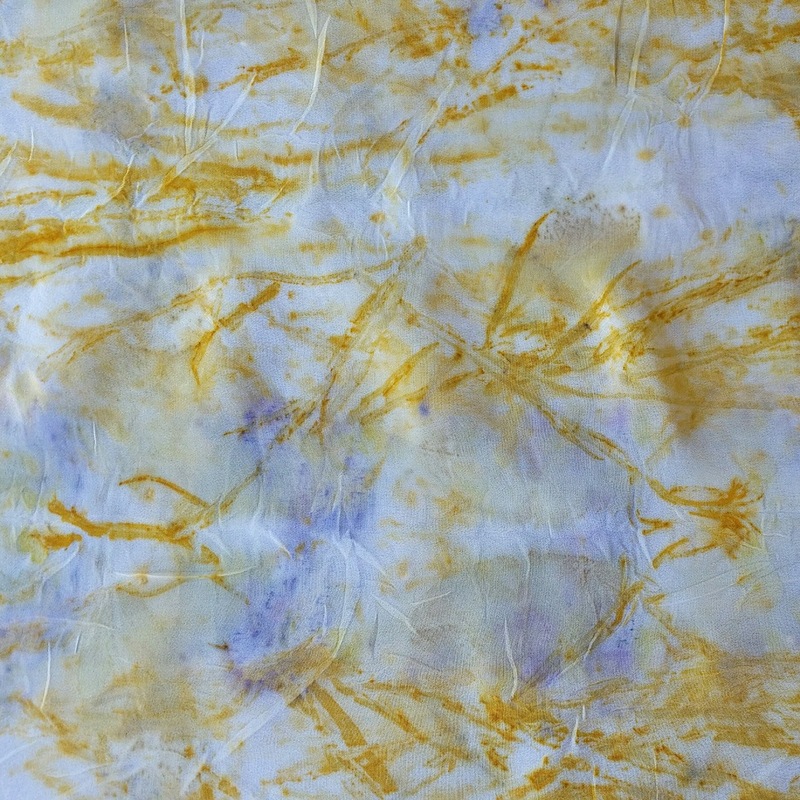 The second time around I used silk with an alum mordant with a bit more success. I used just the petals sprinkled in with some Artemisia. Then I used whole stems, mixed in with some garden sage. As you can see in the second picture, the foliage did exactly what you would expect a knapweed to do with an alum mordant; a bright sunny yellow. The blossoms did make a blue splotch, but again, not very bright. Even so, this is kind of a happy thing for me as the invasive wild knapweed stops doing this once it blooms, so now if I want yellow, I can use the bachelor buttons. It is a plant that benefits from a trim, it comes back more vigorous and with more blooms. Alas, I finally did find some knowledgeable dye sites that referred to Bachelor Button flowers and they are not considered permanent color. Since I used all scrap fabric I will let these set for a few months, wash them and let them set around some more just to see if eco printing them might make the blue last longer than a vat dye. If they fade I will have a re-do with something else. I will also be curious to see what they do on paper. 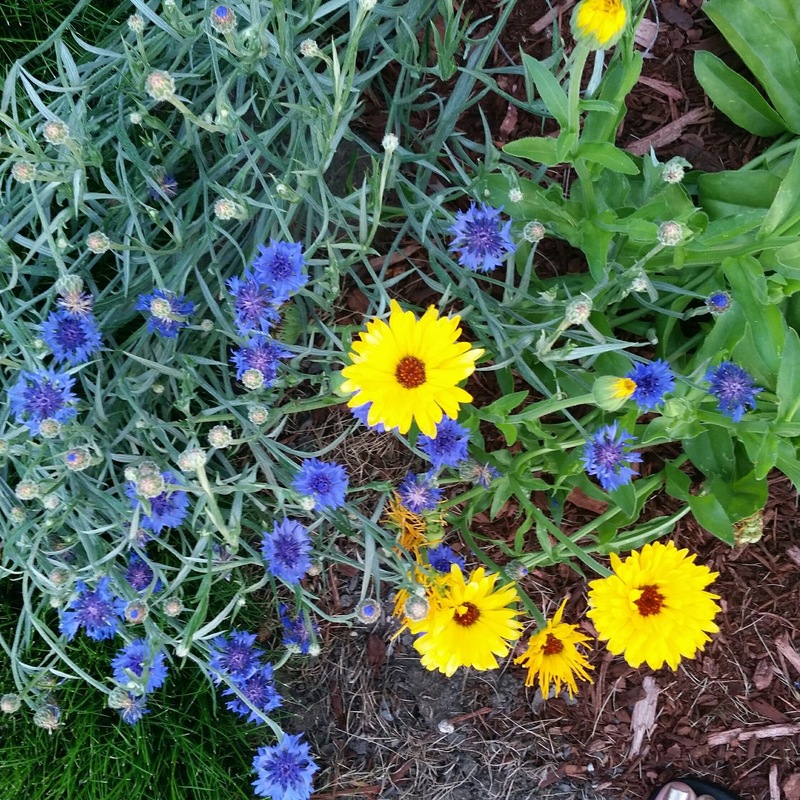 I started them from seed last spring along with Calendula and mixed the two throughout the yard. 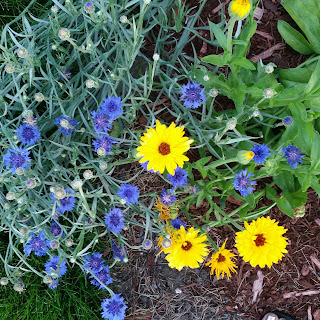 I have to say that even though the blue may not be permanent it was not a waste; I love looking out over my yard at the blue haze with little yellow pot marigolds coming up in between.